Precision craftsmanship and innovation are at the core of the Acura brand DNA. With their characteristic attention to detail, Acura has rewritten the book on luxury sedans with their 2017 lineup. 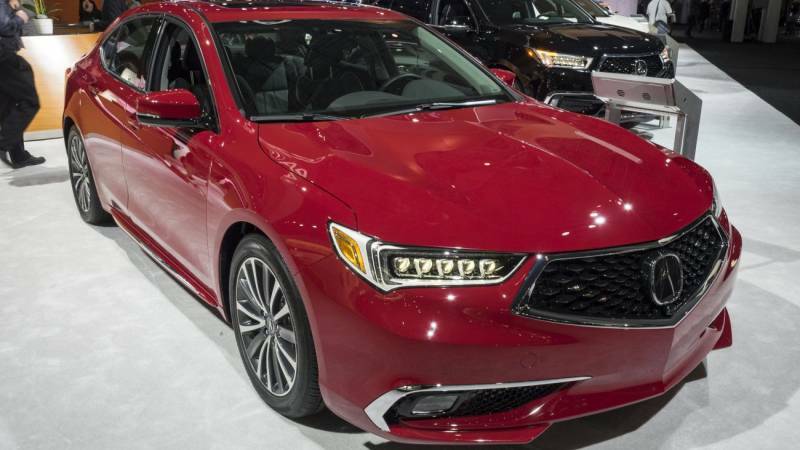 From the compact sportiness of the 2017 Acura ILX, to the performance and luxury of the TLX, and the premium performance of the RLX, four-door sedans have never looked so good, especially in motion. The powertrain in the ILX is a 2.4-liter inline four-cylinder engine that produces 201 horsepower and 180 pound-feet of torque. It’s paired with an eight-speed dual-clutch automatic transmission with paddle shifters for additional accuracy when shifting gears. Deceptively powerful, the ILX accelerates quickly and easily, while the responsive brakes reassure drivers that they can stop on a dime. The ILX comes standard with antilock brakes, stability and traction control, front-seat side airbags, side curtain airbags, and active front head restraints. Additionally, A rearview camera is included in the base package. You can also upgrade to a collision warning system, as well as a lane keeping assist which can alert you if you begin to drift out of your designated lane, and gently steer you back between the lines. The ILX is loaded with infotainment features. The base ILX has a six-speaker audio system with a 5-inch display screen, USB port, Bluetooth wireless connectivity, and an additional input jack. Step up to the Premium package and an 8-inch infotainment display, a seven-speaker audio system with satellite radio, HD radio, and email reading capability will all be yours. With standard equipment, the 2017 Acura ILX achieves an EPA estimated 25 mpg in the city, 35 mpg on the highway and 29 mpg overall, which are excellent numbers for the class. Although the ILX is only available with a four-cylinder engine, it’s still very quick. Drivers weary of boring commuter cars will find the 2016 Acura ILX to be a breath of fresh air. Despite the sedan’s small appearance, the interior is surprisingly roomy, and even the base model comes loaded with features. Unfortunately, the ILX is not available with all-wheel drive, and some drivers may feel the need for more muscle under the hood than it can provide. Ask anyone, and they’ll tell you the ILX is a great value for the money versus the competition. Its crisp styling, nimble handling and overall reliability will appeal to many car shoppers. The Acura TLX shares the same standard 2.4-liter in-line 4 and eight-speed dual-clutch automatic found in the ILX. However, available on all trims, and standard on the high trim package, is a 3.5-liter V-6 with a nine-speed automatic transmission that bumps the horsepower up to 290 and the torque to 267 lb-ft. The TLX boasts precise steering and handling, and the V-6 provides strong acceleration off the line and ample power for highway passing. It draws you in with a firm yet comfortable ride that makes daily driving a delight. in addition to the standard safety features available on the ILX, the TLX offers pre-tensioning front seat belts, front and rear parking sensors, a blind-spot warning system, and the forward collision mitigation system with emergency automatic braking as standard features. The advanced collision mitigation system will caution you of an impending collision and apply the brakes if you don’t respond to the warning. The TLX entertains with Bluetooth phone and audio connectivity, two display screens and a seven-speaker audio system with a CD player, satellite radio, smartphone app integration, an auxiliary input jack, and a USB interface. On the Technology Package, you can access Song By Voice which allows you to play songs or albums that are on your connected iPod or musical device. Those with iPhones can access Siri Eyes Free, a feature that lets you use select apps with the power of your voice. With standard equipment, the 2017 Acura TLX achieves an EPA estimated 25 mpg in the city, 35 mpg on the highway and 29 mpg overall, which are excellent numbers for the class. The 2017 Acura TLX packs a wallop when it comes to value. It’s widely believed to be one of the best bargains in its class. When equipped with the standard four-cylinder engine, the TLX is not as quick as some of its rivals, but the optional V-6 remedies that potential problem. A sports-tuned suspension would sharpen its driving dynamics, but its family-sized interior and smooth styling are major draws, and a five-star safety rating is the icing on the cake. If you’re looking for a highly entertaining luxury sedan that’s affordable to own, the new 2017 Acura TLX is just the ticket. The RLX gets its power from a standard 3.5-liter direct injection 310-horsepower V6 engine paired with a six-speed automatic transmission that translates into smooth acceleration and outstanding power. Additionally, shifting is seamless and the transmission easily finds the right gear. The RLX might be even more compelling with its hybrid engine option. While it has the same 3.5 V-6 standard on the gasoline model, the hybrid version uses gasoline to power the front wheels, and three separate electric motors to power the rear wheels. Combined, you get 377 horsepower and a tenacious grip. Regardless of which engine you choose, both deliver swift performance and sporty handling. In all forms, the RLX handles quite well, with a ride that offers sporty driving dynamics and steering that is precise and nimble. The RLX sedan adds adaptive cruise control that measures the distance between you and the car ahead of you and automatically adjusts your speed if it the gap closes. In addition, a multi-view, 360-degree camera system that displays a virtual top-down view of your car and surroundings. It has an interesting dual-screen set-up as well. By splitting functions, Acura hopes to keep the non-touch-information on the larger, more visible screen, while controls like audio toggles are placed closer to the driver on the smaller touch-sensitive display. A third color display between the gauges offers still more information. The 2017 Acura RLX gets 20 mpg in the city and 30 mpg on the highway, and the RLX hybrid model is estimated at 29 mpg in the city and 30 mpg on the highway. The 2017 Acura RLX is one of the best luxury sedans on the market. The RLX sedan is not available with a stick shift – which might give some hard-core performance enthusiasts pause – but it’s remarkably nimble on the road, and it’s also easy on gas. The RLX’s refined styling gives drivers plenty of reason to smile.